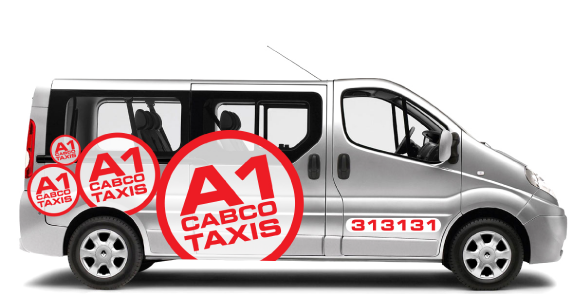 This statement covers the services provided by the A1 Cabco United Regency Limited trading as A1 Cabco Taxis and use of the web site: www.a1cab.co.uk and our commitment to safeguarding the privacy of our visitors personal information. The Data Controller for this web site is A1 Cabco United Regency Limited. The purpose of this statement is to inform users of the A1 Cabco United Regency Ltd web site, about the information that is collected from them when they visit this site, how this information is used, if it is disclosed and the ways in which we protect users' privacy. A1 Cabco United Regency is registered with the Information Commissioner Office (ICO) as a data controller. 2.1 The Data Protection Act 1998 establishes the rights for individuals whose personal data is processed by a third party. Any organisation which processes information about living individuals is a data controller for the purposes of the Act. A1 Cabco United Regency Ltd, as data controller, is required by the Act to ensure that individual data subjects are aware of how their personal data may be used, the purpose/purposes for processing that data and to whom, if anybody, that data may be disclosed. 2.2 You have rights under the Data Protection Act 1998; these can be found on the ICO website. 2.5 We will require you to provide two forms of identification one of which must be photo id. 2.6 The provision of the information is subject to a payment of £12.00 GBP. 2.7 Personal information may be withheld that you have requested to the extent permitted by law. 2.9 You should check this page regularly to ensure that you are satisfied with any of the changes made to it. 3.10 Prior to disclosing the personal information of another person, it is your responsibility to obtain that persons consent to both the processing and disclosure of that personal information in accordance with this policy. 3.12 Some areas of the site require you to actively submit information in order for you to benefit from specific features (such as our online services). You will be informed at each information collection point what information is required and what information is optional. 3.13 Some of this information may be personal (information that can be uniquely identified with you, such as your full name, address, email address, phone number etc.) We only collect such information when you choose to supply us. 3.15 If you send an enquiry by e-mail to either a specific contact or a general enquiry, we will only use your personal details obtained from your enquiry to respond to your query. If you submit a general enquiry we will retain your contact details for the sole purpose of helping us to improve the quality of our services. Our mobile app has access to Contacts, Location, SMS, Telephone and Device Storage these are only used for the purpose of delivering the service; this includes features such as selecting pickup location, text or ring back and running the buddy safety feature. This information is stored securely on our servers and is not publicly disclosed to 3rd parties, unless we are required to do so by Law. 3.17 Our mobile booking app and online booking portal collects sensitive user data such as Credit card information; this is passed directly to the payment gateway for the purpose of collecting payment and is not held on our systems. It is not publicly disclosed to third parties. 4. How we might use your Personal Information. 4.1 Delivery of our contract with you/administer our business for the purposes specified in our policy or in line with the pages of our website. 5.7 Keep you updated about services that you have subscribed to. 5.10 To notify you of invoices, statements, payment collections and general information relating to the efficient running of your account. 5.13 To ensure that all our financial transactions are handled correctly through our payment services provider. 5.14 To check with any third parties which have provided your personal information that the information that they have provided is correct. 6.2 Enabling a service to recognise your device so you don't have to give the same information several times during one task. 6.3 Recognising that you may already have given a username and password so you don't need to do it every web page requested. 6.4.2 Switching off cookies may restrict your use of features on our website. Google Analytics sets cookies to help us accurately estimate the number of visitors to the website and volumes of usage, e.g. website statistics. This is to ensure that the service is available when you want it and fast. For further details on the cookies set up by Google Analytics, please refer to the Google Code website. 7.1. Your personal information is stored securely on our secure (firewall – password protected) servers and we will take all reasonable organisational and technical precautions to prevent the misuse, alteration and loss of your personal information. 7.2 We invest in high-quality security to protect your privacy. No information transmission over the internet can be entirely secure, and therefore we cannot guarantee the security of your personal information. Any information that you send is at your own risk. However, once we have received your personal information we use strict procedures to protect the security of your personal information. 7.3 Any passwords you provide when registering with our websites/smartphone app is encrypted to ensure protection against unauthorised access; we do not have access to read these passwords. 7.4 All electronic financial transactions entered into through our website will be protected by encryption technology. 7.5 Any paper copies of your personal information which you have supplied electronically are stored within our premises and are kept with us are stored securely. 8.1 We do not pass your personal information to third parties for marketing purposes without your permission. 8.2 We may disclose your personal information to fulfil a contract with a third-party client, but only where your consent has been provided or the third party has provided us with your personal information to undertake a booking contract on your behalf. 8.3 We may disclose your personal information to any of our employees or subcontractors or those that enlist the services of a booking platform insofar as necessary in order to fulfil the purposes set out in this policy. 8.4 We may disclose your personal information, in response to orders by the government, local government officers, licensing officers or law enforcement officers or in any connection with any ongoing or prospective legal proceedings or to any professional services in order to exercise or defend our legal rights. 8.5 We may disclose your personal information to professional advisers, insurers, subcontractors, agents and to any member across our companies including any subsidiaries or holding companies whereby it is deemed necessary for the purposes set out in this policy. 8.7 We may disclose your personal information to buyers if we were to sell our business, if we were required to do so. 9.1 We may retain your personal information for a period of 7 years to ensure that we comply with any contractual, legal, audit, investigation and regulatory requirements. 9.2 Personal information will not be held for any longer that is necessary for any purpose or purposes other than to fulfil our legal obligations as required by law, to establish, exercise or defend our legal rights or to that may be relevant to any legal proceedings. 9.3 Personal data will be deleted annually on a predetermined date and time. 9.4 Personal data shall not be held for longer than necessary in relation to section 2 of your data protection rights. 11.1 Please read the Data and Privacy policies of all third party websites that you may use in connection with using our services. We have no control or responsibility over the policies of third parties. 11.2 Our in house data storage where your personal information may be stored is in the European Economic Area (EEA) or the UK. 11.3 If we were to use storage locations such as a Google drive file we would not be able to ensure that your personal information would then be stored in the EEA. 12.2 You may only use our website or mobile app for your own personal and business purposes, and you must not use this web site for any other purpose. You must ensure that all the information you provide to us via the web site, or in relation to our website, is true, current, complete, accurate and non-misleading. 12.3 The content of the pages of this web site is for your general information and use only. It is subject to change without notice. 12.4 You must not use our web site or mobile app in any way or take any action that may cause impairment of the performance or damage to the web site, availability or accessibility of the web site. 12.5 Neither we nor any third parties provide any warranty or guarantee as to the performance, timeliness, accuracy, completeness or suitability of the material or information that may contain errors or inaccuracies and we expressly exclude liability for any such errors or inaccuracies to the fullest extent of the law. In no event will we be liable for any loss or damage including without limitation, indirect or consequential loss or damage, or any loss or damage whatsoever arising from loss of data or profits arising out of, or in connection with, the use of this website. 13.2 Our primary place of business is at Unit 3 Peaks Storehouse, 135 Ditton Walk, Cambridge, CB5 8PY. Your use of this web site and any dispute arising out of such use of the web site is subject to the Laws of England, Northern Ireland, Scotland and Wales.